International Fleet Review (IFR) Native Australian Cooking Demo and Meal 5th to 10th October 2013. 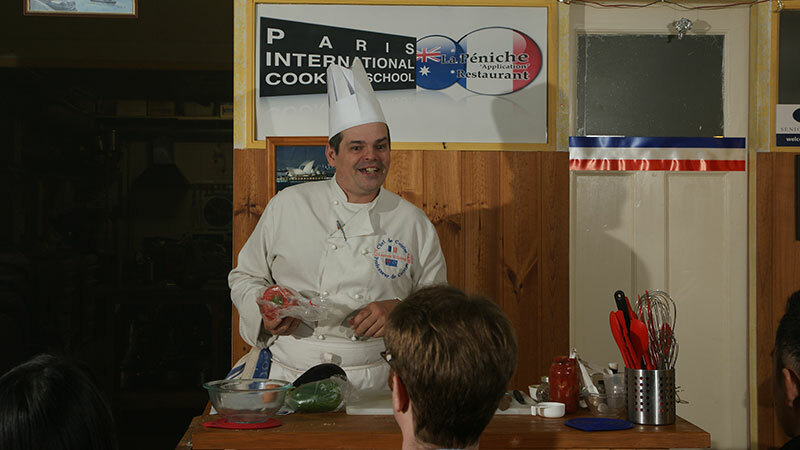 We currently have a number of Cooking Parties (two-hour cooking demonstration and food tasting) scheduled. Please check Cooking Party page for details. If you would like to organise some cooking demonstrations or cooking parties with us, please contact us. 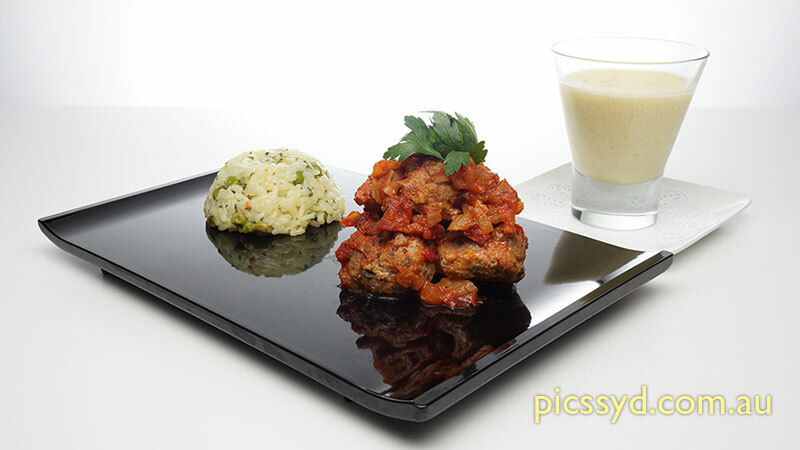 Italian Cooking Demonstration at South Hurstville Library, 11.30am - 12.30pm, Thursday, 23rd August 2012. 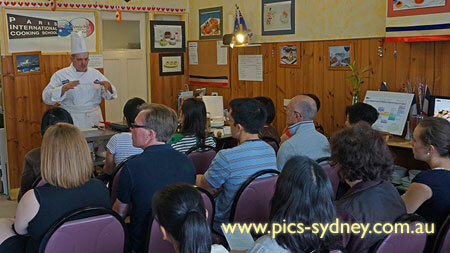 Italian Cooking Demonstration at Leichhardt Library, 10am - 12pm, Tuesday 24th May 2011. French Cooking Demonstration at Balmain Library, 2nd July 2011. Chocolate Cooking Demonstration at Leichhardt Library, 28th January 2011. 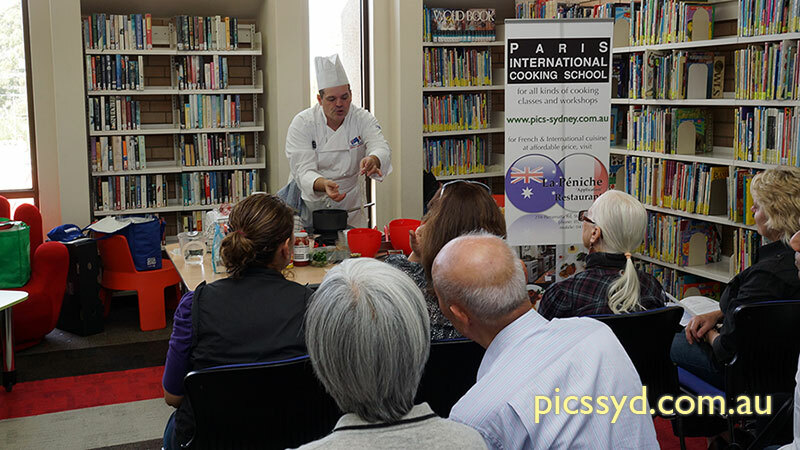 French Cooking Demonstration at Oatley Library, 28th January 2011. Christmas Island District High School, 22nd September 2010. SBS Team Building Cooking Demonstration, 16th August 2010. Christmas Cooking Demonstration at South Hurstville, 10am - 12pm, Thursday 26th May 2011.